WonderCon Sale! 30% Off Print, 20% Off digital, this weekend only! 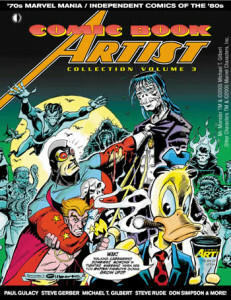 Save on our books & mags during the WONDERCON SALE at www.twomorrows.com, now through Monday, April 3! Get over 30% off print items, and 20% off digital editions this weekend only! The extra deduction will be taken off during checkout. Not valid on New and Upcoming Items, Subscriptions, Bundles, or Clearance Items. SALE ENDS MONDAY! And visit us this weekend at WonderCon booth #918 for this same sale! This entry was posted in TNT on 31 March 2017 by Mr. Morrow. Quick! 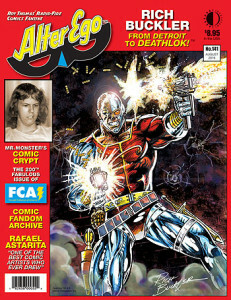 Last copies of sold-out Alter Ego #141 (Deathlok/Rich Buckler issue)! 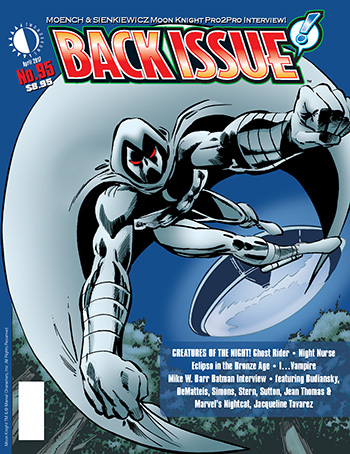 Just got a handful of the sold out Alter Ego #141 (Deathlok/Rich Buckler) issue returned to us! Get ’em quick before they’re gone! Go HERE!